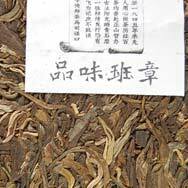 Ban Zhang Pu'er tea is well known for its powerful taste and strong lingering aftertaste. Pin Wei Ban Zhang literally means to "Taste Ban Zhang". 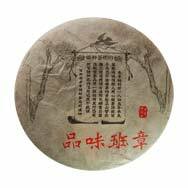 Ban Zhang Tea Cake is highly popular with Pu'er tea cake collectors. 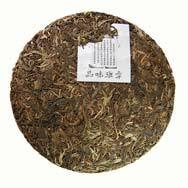 This is a tea not to be missed if you are a raw Pu'er tea lover.